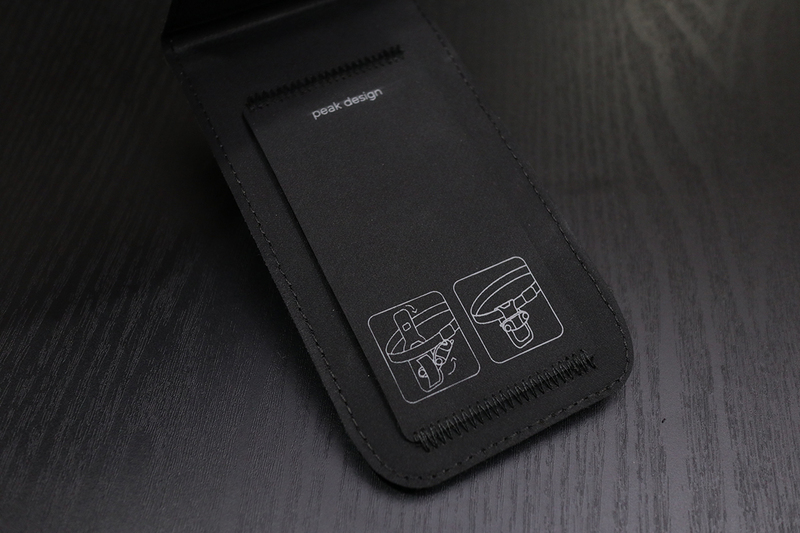 Quality/Usability : The Peak Design Pro Pad was one of those accessories that was needed for the Capture Clip. 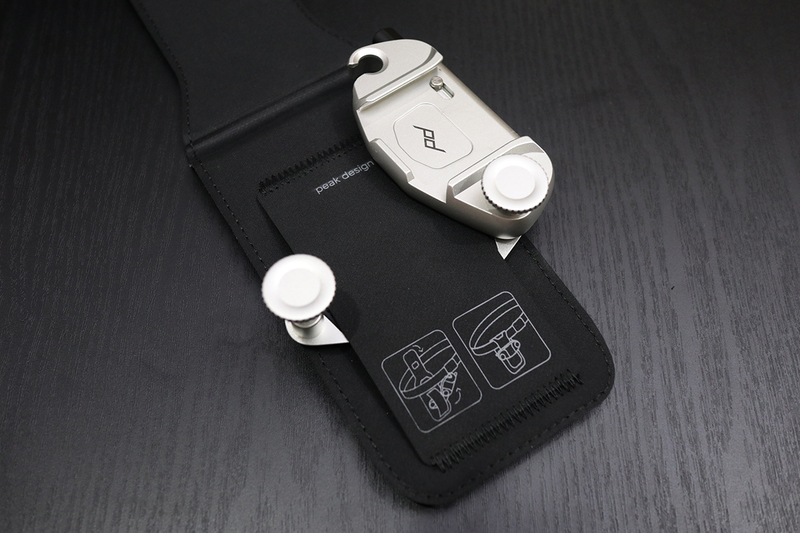 The Pro Pad helped with different mounting positions of the Capture Clip but also offered support and comfort when mounted to your belt. For 2017, Peak Design has redesigned the Pro Pad and refreshed the look. The Pro Pad v2 is now smaller and slimmer. Nothing comes with the Pro Pad v2 other than the Pro Pad itself. 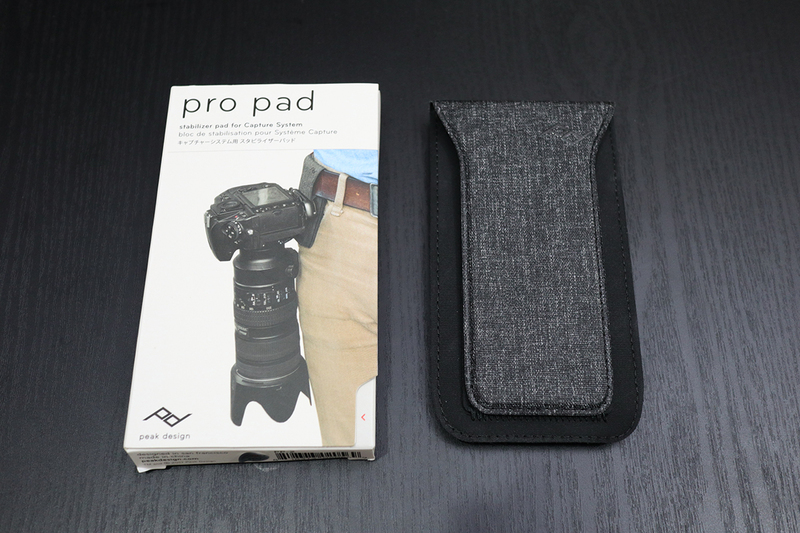 The Pro Pad looks like a wallet or the back of a cellphone case. 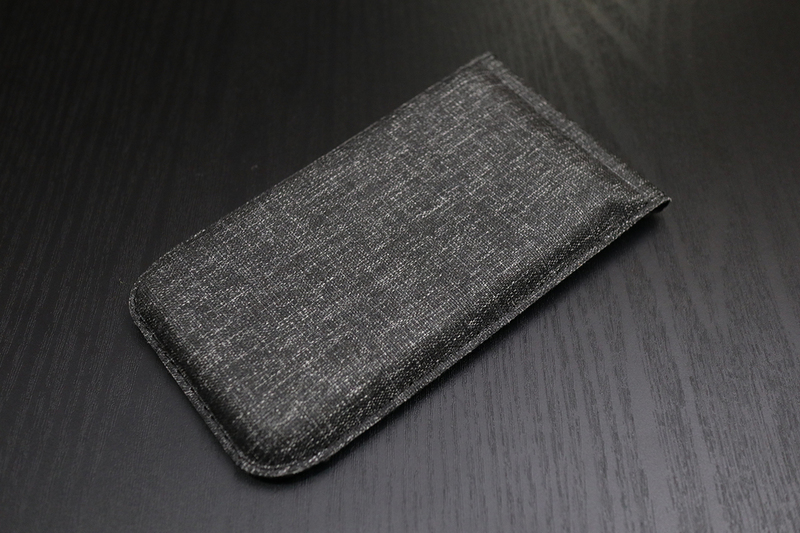 It also follows that charcoal color that is similar to their Peak Design bags. The pad is definitely a lot slimmer and smaller than the original Pro Pad. One of the issues Peak Design noticed was that not many people knew how to use the ProPad. To help that, Peak Design included two simple images of how to set up the Pro Pad with the Capture Clip v3. The images above shows the process of how to set up the Pro Pad with the Capture Clip v3. With the Pro Pad v2, you can only install the Capture Clip in a horizontal position. With the old Pro Pad, you can mount the Capture either horizontal or vertical. I personally prefer the horizontal position where you insert the camera from a top down instead of sideways. 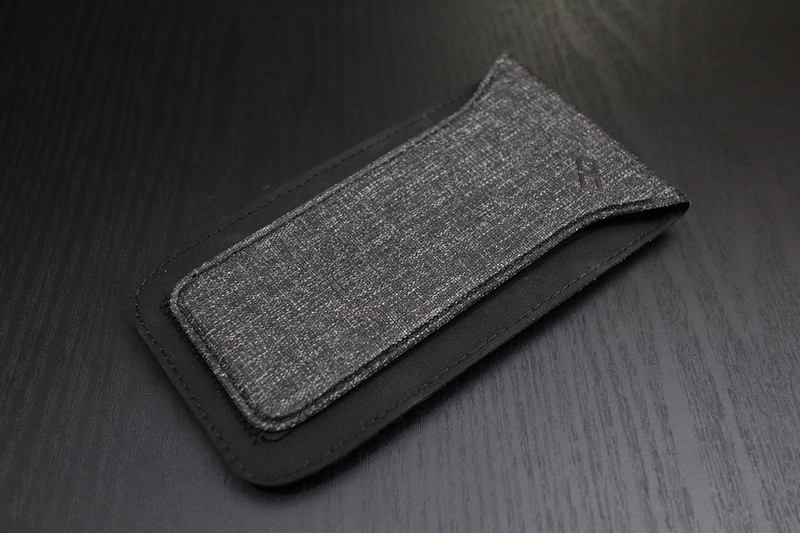 The Pro Pad can also slide along your belt if you need to move it (so as long your belt loop on your pants don't get in the way). 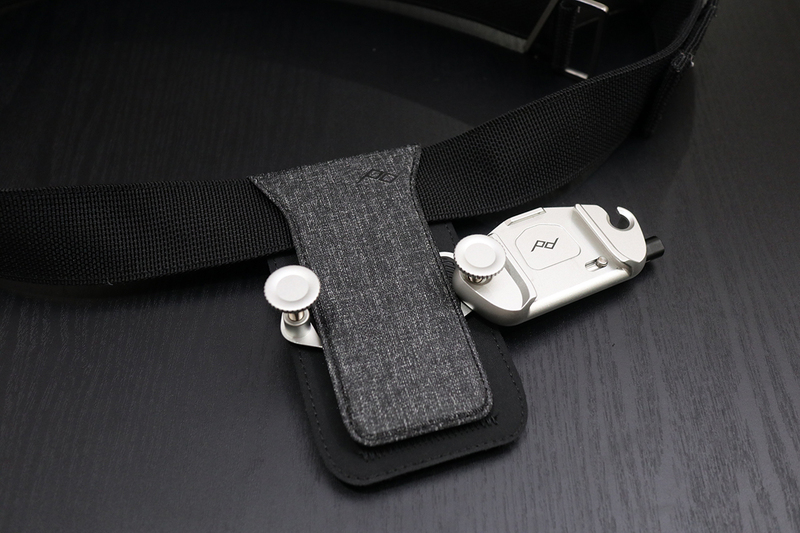 In addition to using the Pro Pad on a belt, you can actually use it on a backpack strap. 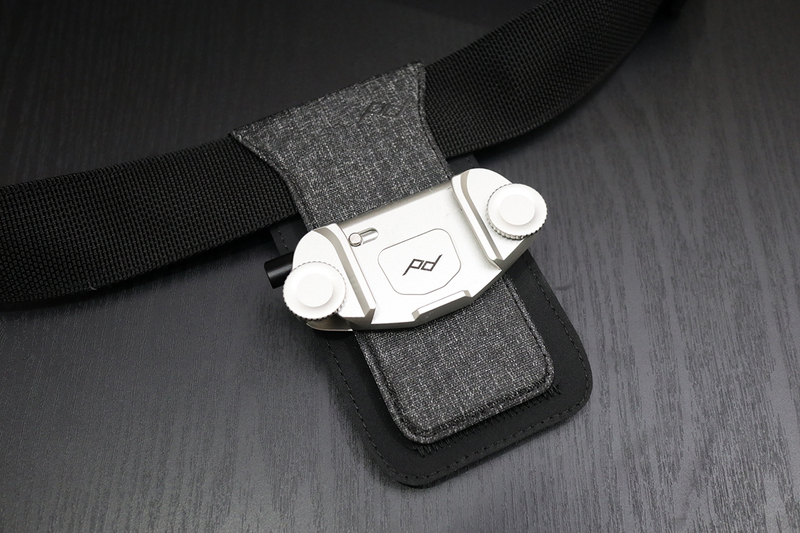 So if your backpack strap is thin and flimsy where it has no support, the Pro Pad will help provide support for the Capture Clip. 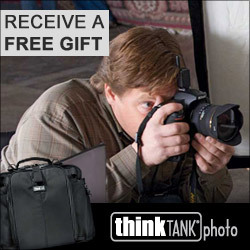 Unfortunately, I do not have a backpack with a thin strap to show. 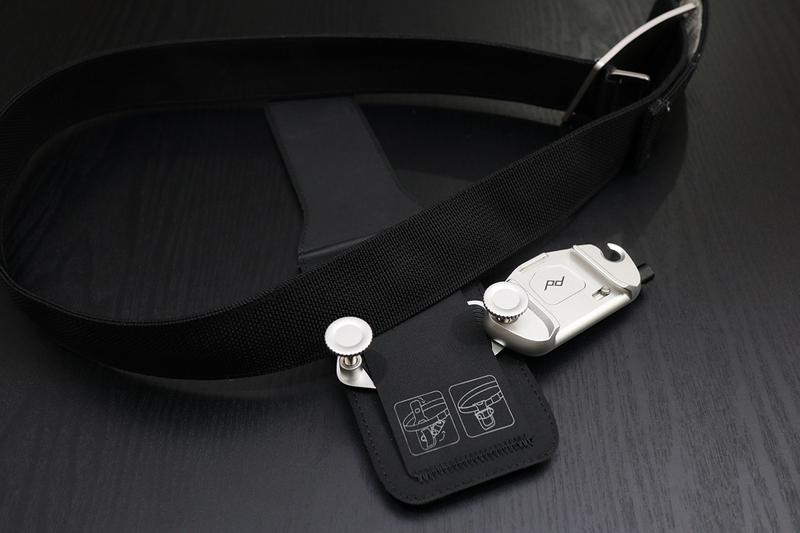 Basically, you will loop the back plate of the Capture through the Pro Pad and place it behind your backpack strap. Please the strap between the Pro Pad and Capture Clip so that your backpack strap will be sandwiched between the pad and clip. 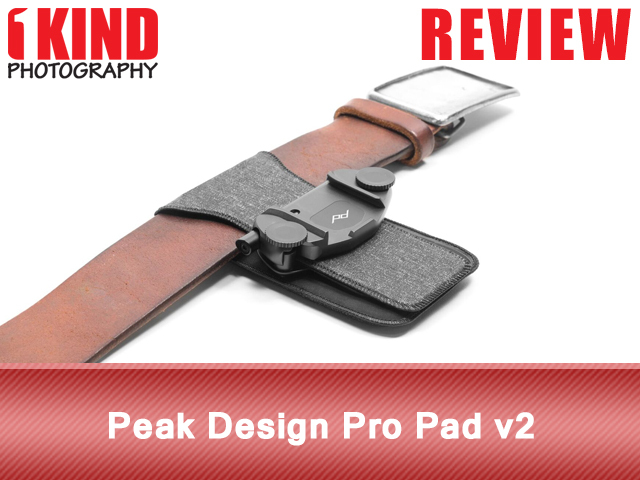 Conclusion : Overall, the Peak Design Pro Pad v2 looks a lot more stylish. 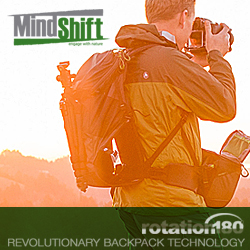 Even though it is smaller and slimmer, it offers great support for both belt and backpack.